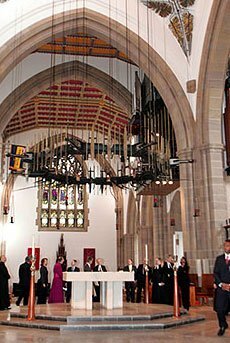 Blackburn Cathedral is one of England’s newest cathedrals, yet it is one of the country’s oldest places of Christian worship. It was mentioned in the Domesday Book of 1086 and it is believed that a church has always stood on this site since 596AD. 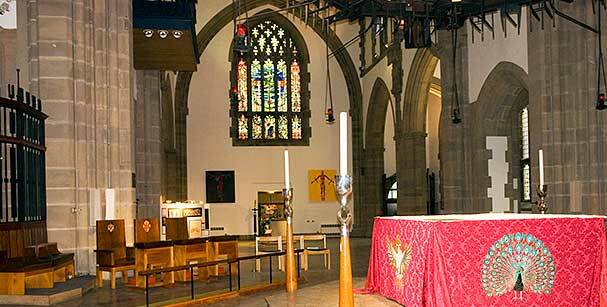 For many centuries, this has been the Parish Church of Blackburn dedicated to St. Mary the Virgin. Blackburn Cathedral as the Cathedral of Lancashire stands in the heart of multicultural East Lancashire. It has been a cathedral since 1926 and the present building is a much-extended Georgian Gothic Parish Church of 1826. 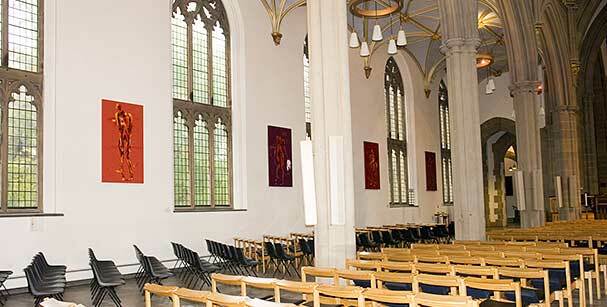 It is a compact but attractive building with a superb organ and excellent acoustics. 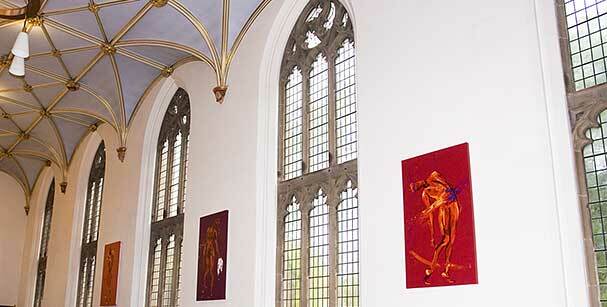 The cathedral has a small but impressive collection of 20th and 21st century modern art. It continues as a place of prayer and worship and is now at the centre of the Diocese which takes in almost the whole of Lancashire. 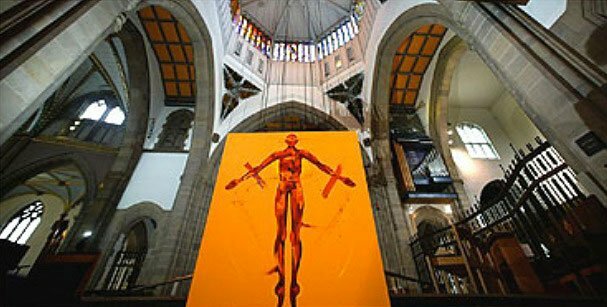 Installed for Holy Week and Easter 2005 Penny Warden’s Stations of the Cross called ‘The Journey’ – a set of fifteen life-size paintings – is undoubtedly one of the most important artistic commissions made by any cathedral in recent years. Retelling and evoking the story of the end of Christ’s life in such a way as to find contemporary resonance, the paintings are a spiritual resource unparalleled in Lancashire, in the UK or anywhere else in the world. 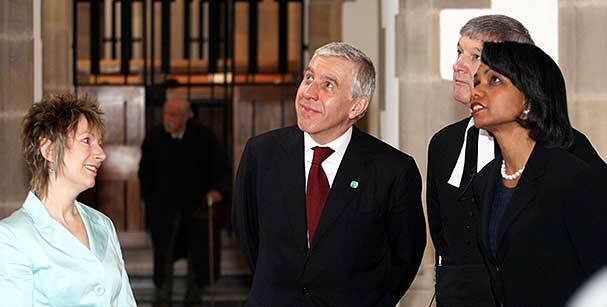 They form the basis of the cathedral’s current mission strategy: a springboard from which to engage a world where there is so much suffering in need of transformation.